This piece gets its name from a book by James Allen. “It’s not what you say out of your mouth that determines your life, it’s what you whisper to yourself that has the most power. 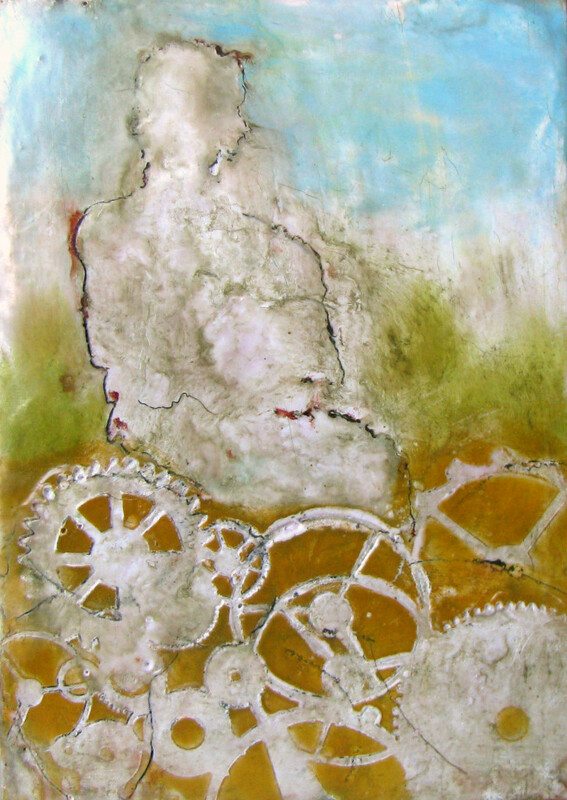 “As a Man Thinketh” is 5″ x 7″ Encaustic and Oil on a cradled birch panel.